Online registration is available here. The registration deadline is May 31, 2014. Both computational modeling and experimental measurements are crucial for improving the assured delivery, performance, and sustainability of concrete. Celebrating its 25th anniversary this year, the workshop has provided a forum for nearly 700 students, faculty, and researchers from industry and government to learn more about computational and experimental methods that are being used to understand, predict, and improve concrete performance. Our goal is to provide a background on the theoretical, computational, and experimental approaches to understanding the processing and performance of concrete materials. This workshop is organized in cooperation with ASTM Committees C01 (Cement) and C09 (Concrete). The RILEM Educational Activities Committee (EAC) is sponsoring this year's workshop. 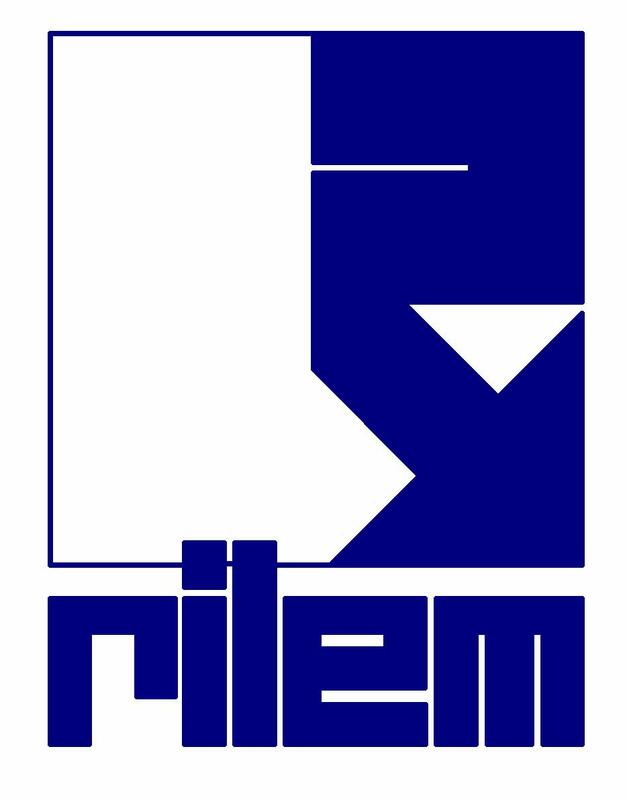 This means that (1) participating PhD students may be entitled to a 3-year free membership in RILEM, (2) RILEM EAC can, as an independent body, legitimize the assignment of course points (work load), and (3) RILEM EAC can issue certificates for course participation. 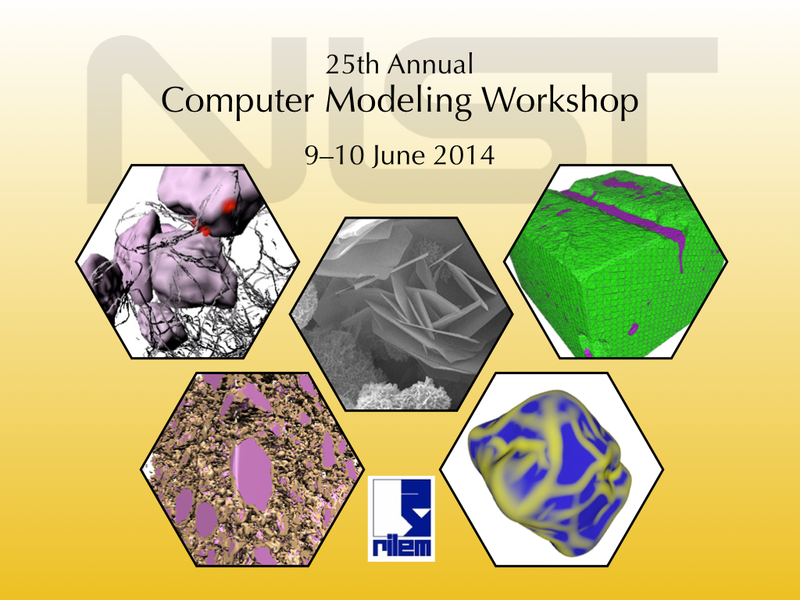 The NIST Computer Modeling Workshop series focuses on the computational and experimental materials science of concrete, including simulation of microstructural development and prediction of physical properties. "Microstructure" ranges from nanometer to meter length scales, while physical properties include pressure-driven fluid transport, rheology, and mechanical properties. Lectures on experimental methods will show how techniques like neutron scattering, electron microscopy, and various X-radiation probes like diffraction and tomography are used to inform and validate models. This portion of the workshop will feature a series of tutorial-style lectures, including a detailed hands-on tutorial on the installation and use of NIST's Virtual Cement and Concrete Testing Laboratory software. Workshop participants will be given an opportunity to describe their own technical interests in 15-minute presentations. A detailed program is available below. In addition, an invitation letter is provided here for those who need one to obtain permission to attend the workshop. A partial list of hotels in the area, with approximate prices and transportation details, is provided here. NON U.S. CITIZENS PLEASE NOTE:All foreign national visitors who do not have permanent resident status and who wish to register for the above meeting must supply additional information. Failure to provide this information prior to arrival will result, at a minimum, in significant delays (up to 24 hours) in entering the facility. Authority to gather this information is derived from United States Department of Commerce Department Administrative Order (DAO) number 207-12. When registration is open, the required NIST-1260 form will be available as well.